Remember when people used to say that gaming is a waste of time? Well, not anymore. The eSports scene is currently flourishing, and game market research firm Newzoo has estimated that the global e-sports market will hit almost US$700 million (S$978 million) this year, and reach US$1.5 billion by 2020.
eSports is also slowly gaining more recognition, especially following the recent announcement by the Olympic Council of Asia that eSports will be officially included as a medal sport in the 2022 Asian Games held in Hangzhou, China. 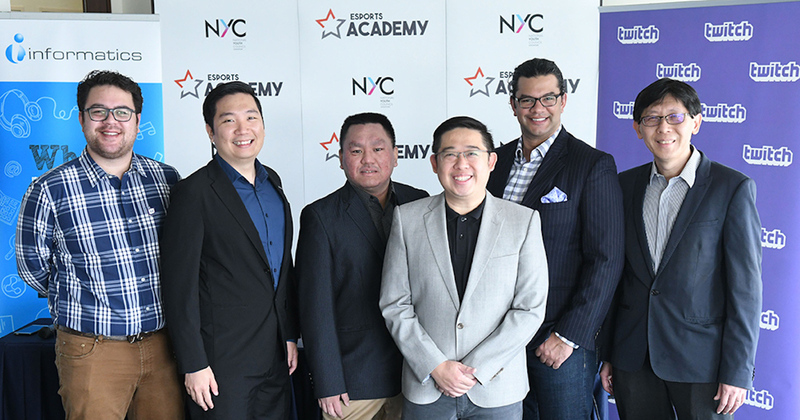 The Singapore Cybersports and Online Gaming Association (Scoga), a non-profit organisation supported by the National Youth Council, has partnered with the world’s largest streaming website Twitch, to launch the first ever eSports Academy in Singapore yesterday (April 20). The academy will hold classes to train gamers who wish to go professional and on other gaming-related fields, including live-streaming and shoutcasting, which involves a play-by-play commentary during a gaming session. The partnership will see Twitch lending its expertise in live-streaming and gaming, including flying down top game streamers to run classes, which are open to the public. Aspiring eSports professionals can sign up for classes and boot camps run by professional game coaches on how to better their game mechanics and strategies, and to practice with higher-level players. Those who prefer to stream games and entertain audiences can opt for classes on how to do it professionally, with proper lighting and camera set-up. There will be a mix of free and paid classes, and keen participants can sign up for lessons through Scoga’s Facebook page or website. Over the past three months, about 350 youths have signed up for trial classes ahead of the academy’s official launch. Twitch streamer Deborah Sim recently attended a class with them, and it focused on how to play Dota 2 as a beginner. She sees the class as a “good start for those who are new to such games and are not entirely sure on how to pursue it [eSports]”. Grandon Oh, a League of Legend shoutcaster, is confident that the launch of this eSports academy will help to “change some of the negative perceptions about gaming in Singapore”. Defense of the Ancients (Dota) enthusiast Ashraf Asmadi shared the same sentiments as Oh and reasoned that it will help parents be more open-minded towards a gaming career; and gamers themselves can finally have a platform where they can showcase their true talents. Both Grandon and Ashraf also shared that they are open to enrolling themselves in the classes offered by the school. “I don’t have to go to LAN shops anymore and waste money. A proper gaming school can better hone my gaming skills,” said Ashraf. On a related article on Facebook, gamer Chen Yiji commented that he is “stoked to see what the academy is like” and proposes that SkillsFuture credit be used to offset the classes. He was however doubtful if enrolling in the school will make him an eSports pro. 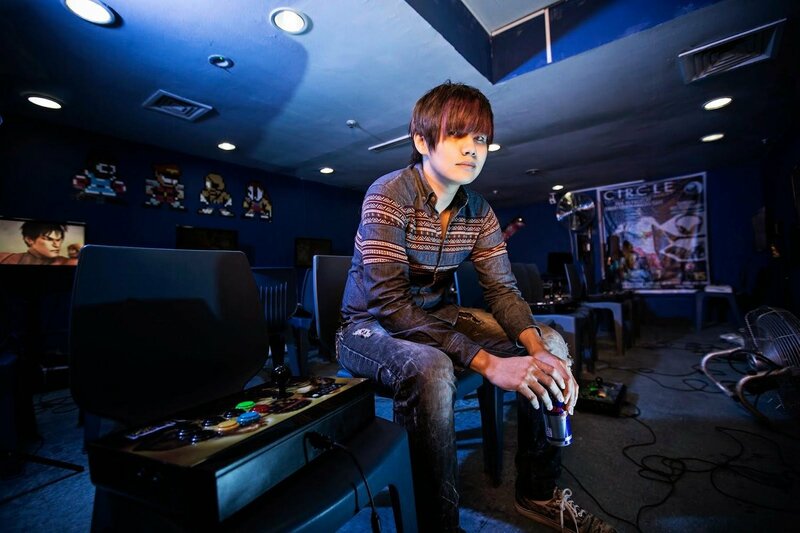 27-year-old Ho Kun Xian for one, has made a career out of being really good at the Street Fighter video game – and he believes fellow local eSports talents could do better than national athletes in bringing glory to Singapore. Xian is a full-time professional gamer who remains the only Singaporean to ever win a major global contest. He was the last man standing out of about 1,600 players at the 2013 Evolution Championship Series (EVO) – a yearly event viewed as the World Cup of fighting games. “Singapore has a lot of eSports leagues. We are on the right track. And with streaming, you don’t really have to be abroad. But it’s very difficult to do eSports professionally in Singapore because the support for gaming is not very strong. If you want to go into this, your passion has to be strong enough,” he told Channel NewsAsia. He also commented that Singapore does have a pool of sufficient talent to compete, but Singaporeans are more prone to studying and holding a ‘proper’ job. He also called on the authorities to work on sending local gaming talents abroad and to give out sponsorships. “If they win an award overseas, let them have some reimbursement so there’s motivation to continue as a job,” said Ho. “It’s not just about being a professional gamer. There are so many more opportunities in the growing e-sports industry, like streaming, coaching and organising events,” said Khoo, in an interview with The Straits Times. According to online user-generated community eSports Earnings, Daryl “iceiceice” Koh – a superstar in the multiplayer Dota game – has bagged more than US$1 million in overall winnings, placing him on equal financial footing as sporting personalities such as football icon Fandi Ahmad, table tennis stalwart Feng Tianwei and Olympic swimming champion Joseph Schooling. Another Dota player, Wong Yih Jeng, places second in Singapore with more than US$168,000 in earnings, while Ho comes next with nearly US$65,000. 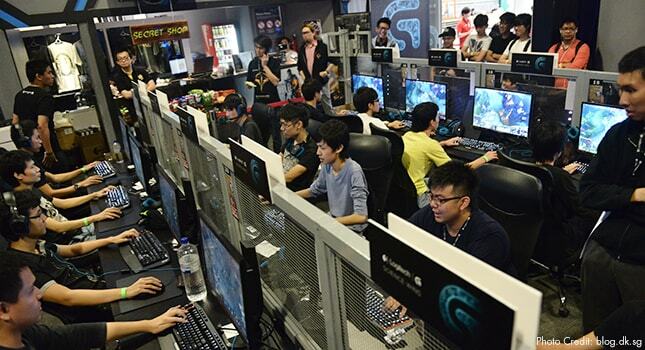 The website also reports Singapore’s 261 players as having earned over US$2 million in total – some way off the near US$48 million sum copped by China’s 1,741 gamers. The money comes from advertisers and sponsors enticed by the rapidly rising stock of the eSports industry, which in 2016 alone has seen more than 200 million viewers and a global revenue of nearly US$900 million, according to gaming research firm SuperData. Last year, a record prize kitty of nearly US$11 million was up for grabs at a Dota tournament. So if your parents think a regular office job pays better, they’re wrong.